Everybody loves a home-cooked meal, but not everybody has a seasoned Italian grandmother to make it for them. 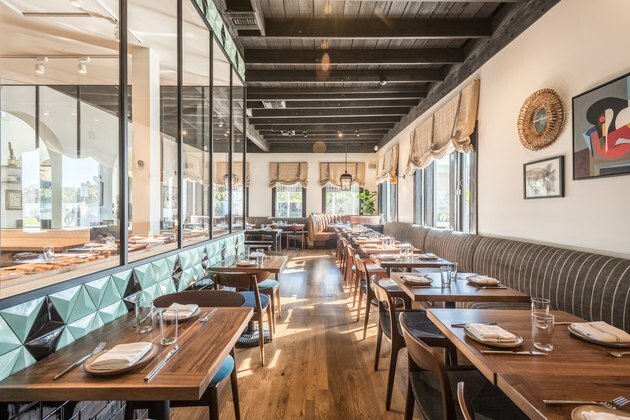 Although Felix, a new restaurant located on L.A.'s famed Abbot Kinney boulevard in Venice Beach, may not have an actual nonna in the kitchen, its warm interior could fool you into thinking you're in a home. 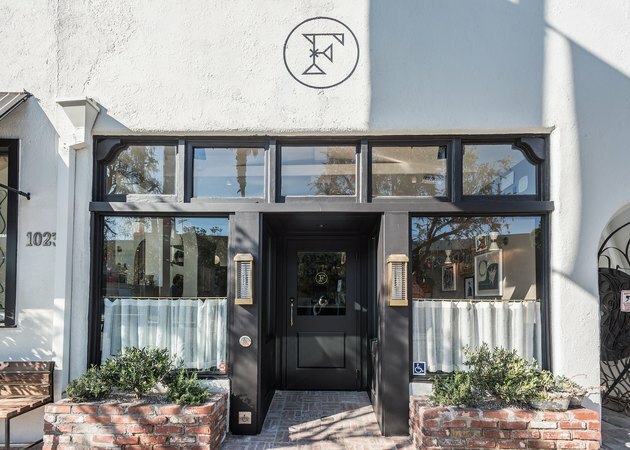 In fact, owner Janet Zuccarini, designer Wendy Haworth, and chef Evan Funke planned it that way. 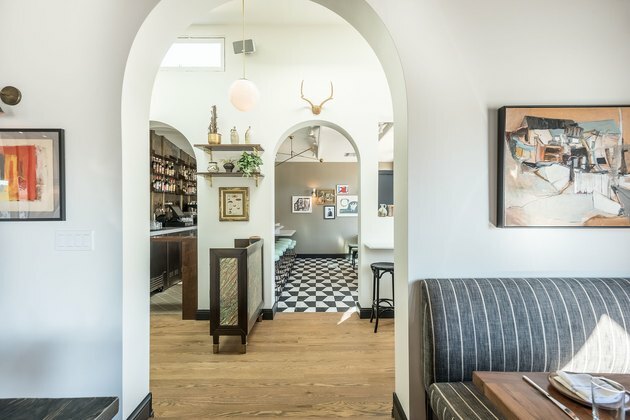 Archways lead from the bar into open dining areas that are punctuated by vintage light fixtures, classic fabrics, and floral wallpaper that are, by all means, throwback design sensibilities. Nevertheless, the arrangement still feels modern. Why? Trendy shades like teal and charcoal keep the look fresh, while dark wood accents and big windows never go out of style. 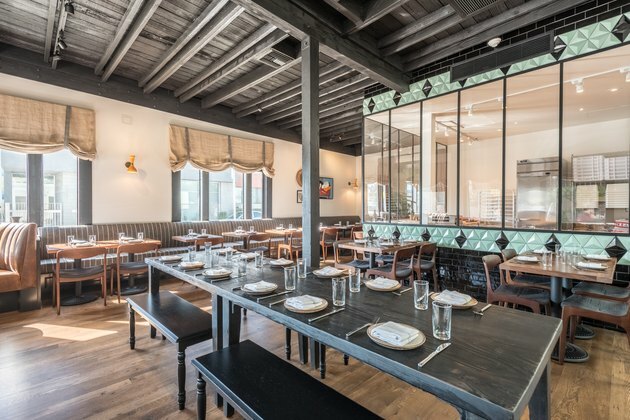 The big draw to this locale may be the eatery's impeccable Italian menu, but don't forget to come up for air and look around. The mix of modern and traditional touches matches those dishes completely, and makes for a design that's comfortingly inviting — just like grandma's house. The building has stood since the 1920s, and the exterior was mostly left untouched. Guests who stroll by the front window will see a portrait of Italian icon Sophia Loren by Cheyenne Randall on the wall next to the entrance. 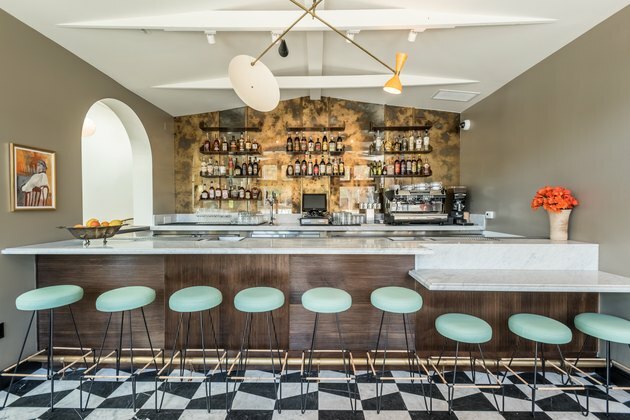 The restaurant is made up of distinct spaces — the front bar, two dining areas, and tucked away seating — but the color scheme unites them all. When working with many rooms, use this same tactic. It also doesn't hurt if teal, black, and white mix with wood and gold accents, as seen at the bar. Eclectic collections of artwork give the dining area the appearance of a cozy home, like the shelving and antlers hanging on this salon wall. Gio Ponti-inspired walnut millwork can be found throughout the front dining room, which is punctuated by mismatched vintage light fixtures. The centerpiece of the restaurant, a glass-walled pasta lab, is easily the most modern element of the restaurant. But Celadon dimensional tiling from Design and Direct Source maintains the Old World feeling. 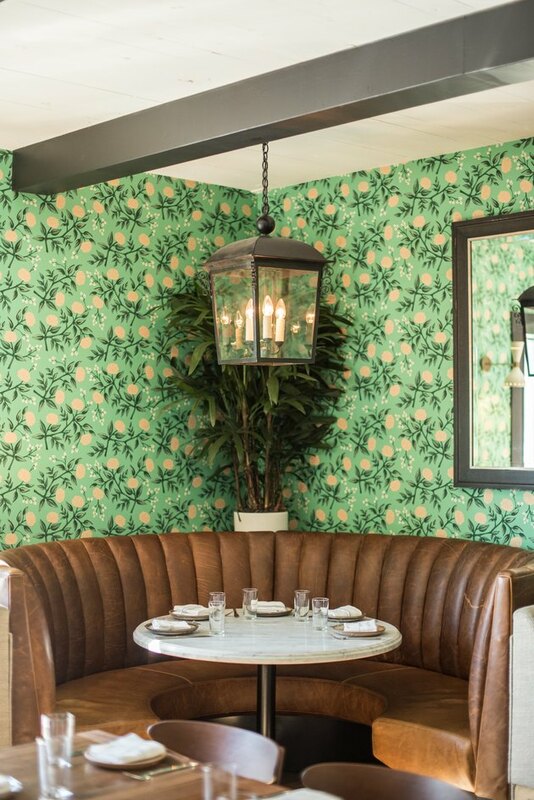 Wallpaper from Rifle Paper Co. is an essential element of the homey decor, which wraps around the entire back dining area. Traditional leather tufted booths also add to that intimate feel.